Carm Huntress says he's happy for the tens of thousands of dollars that UCHealth has invested in his startup software company, which offers physicians point-of-care prescribing guidance. But beyond financing growth, the Colorado-based system's partnership has provided RxRevu developers with invaluable feedback from the frontline emergency room physicians who use the software, Huntress said. And that's increased the startup's credibility among customers both current and potential. “It's been a real point of validation,” Huntress said of the two-year partnership. Across the country, emerging health technology companies like RxRevu, Binary Fountain and Augmedix are finding it beneficial to hitch their wagons, at least in part, to hospital venture capital funds. More health systems are starting venture capital funds focused on healthcare after seeing the returns enjoyed over the years by pioneers such as Ascension, Dignity Health and Cleveland Clinic, said Derek Baird, vice president at Chicago-based Avia, a national network of health system innovators that itself receives venture capital from health systems. Over each of the past three years, venture capital funding of digital health companies exceeded $4 billion, according to a recent study by Rock Health. The data show that more venture investment went into digital health firms during the first month of 2016 than all of 2011. UCHealth contributed a chunk of the nearly $4.7 million RxRevu has raised since early 2014. Denver-based RxRevu's software helps busy clinicians pick the right prescription for patients. The startups get more than funds. They get instant feedback on products. Startups can roll out products across a health system rather than marketing door-to-door. Hospitals and systems get first crack at technologies that they have nurtured. Hospitals diversify their investments beyond bonds, stocks and other traditional instruments. It got its first trial in the emergency department of the University of Colorado Hospital in early 2016, Huntress said. Sitting side-by-side with clinicians and staff, RxRevu staffers worked for months massaging the software so that the medication information it yielded could be obtained readily as part of the ER workflow. Having that access was invaluable and only possible because the hospital made it a priority. “We need that tight-knit collaboration,” Huntress said. UCHealth participated in RxRevu's first funding, which raised $540,000 in 2014, as well as some of the other four. The RxRevu software was first used for prescribing antibiotics, said Dr. Richard Zane, chairman of the emergency medicine department for UCHealth's seven hospitals and 22 other ERs scattered over 100 ambulatory locations in Colorado, southern Wyoming and western Nebraska. Physicians took to the technology and now the system wants to get all drugs prescribed in the ER built into the software, Zane said. Then UCHealth wants to offer it in all its ERs. Zane underscored the word “offer”; emergency physicians don't have to use it. Yet since the software installation, adherence to recommended guidelines for specific antibiotic use has jumped from 45% to 65%, Zane said. Augmedix has grown quickly by having such large health systems as Dignity Health and Sutter Health among its biggest investors, said Pelu Tran, president and co-founder of the technology-enabled medical transcription business. Since 2013, Augmedix has raised $60 million in venture funding. 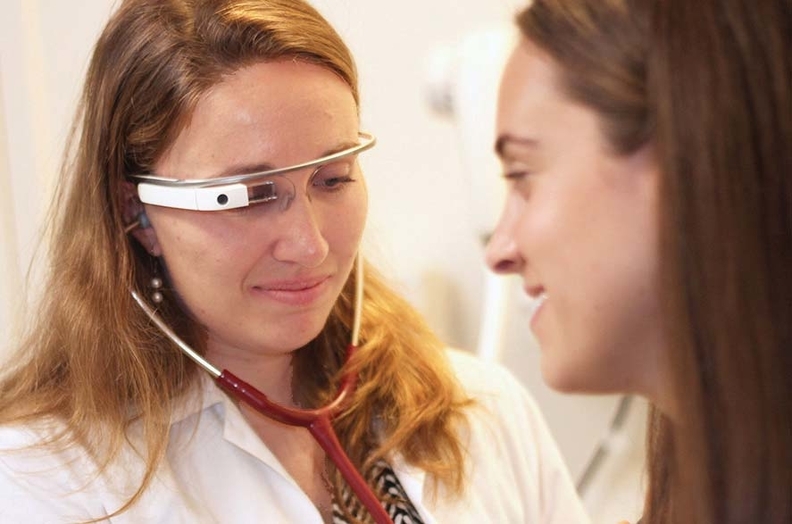 Augmedix saves its individual physician users 15 hours per week on clinical data entry simply by wearing Google Glass to record patient visits. An Augmedix employee remotely inputs the data into the office's electronic health record system in real time. That gives physicians more time to spend with patients. What's more, the real-time transcriptions are more accurate since the physician doesn't have to go back later and try to remember exactly what was said, Tran said. With big health systems funding the company and championing its services at their facilities, Augmedix has grown to 1,000 employees worldwide, with 200 in the U.S.